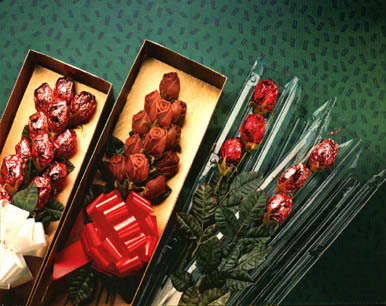 Send Someone Special Chocolate Roses Any time of the year $25.50 1/2 dz. or $38.00 1 dozen. Look further down in the page for more inexpensive roses. Chocolate roses are packaged in a beautiful box with a gift card. These roses are individualy packaged and tied with a ribbon they can be with or without the stem.